This edition of the J18 Jaguar XJS was a special UK promotional issue for Kellogg's. 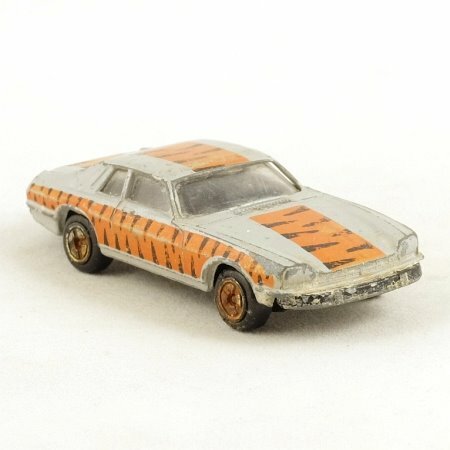 In pearlescent grey with black metal base, black interior and clear windows, it features a black on orange tiger print on the bonnet, roof, boot and sides. The wheels are black with 4-segment silver hub detail. This one is fair condition with some rust evident at the axle ends.